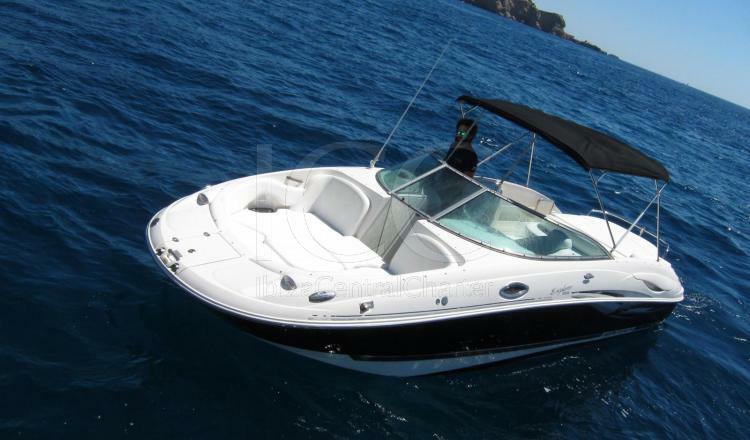 Monterrey 263 Explorer is perfect to spend a charter day. 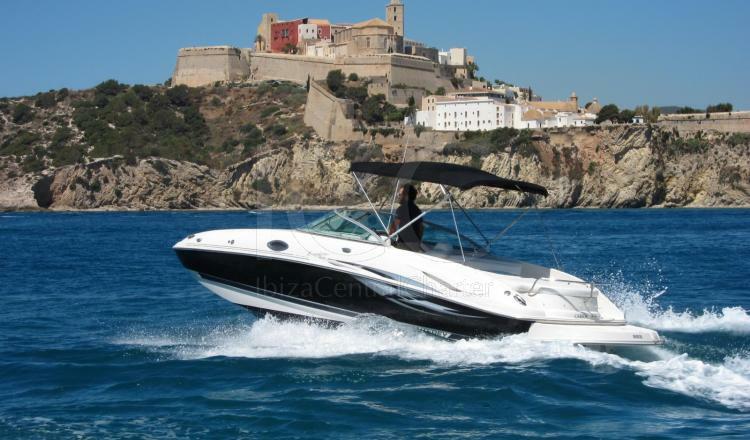 This motorboat is the answer for all those fans to sail during a day or for all those who still have not dared to spend a day of nautical charter. 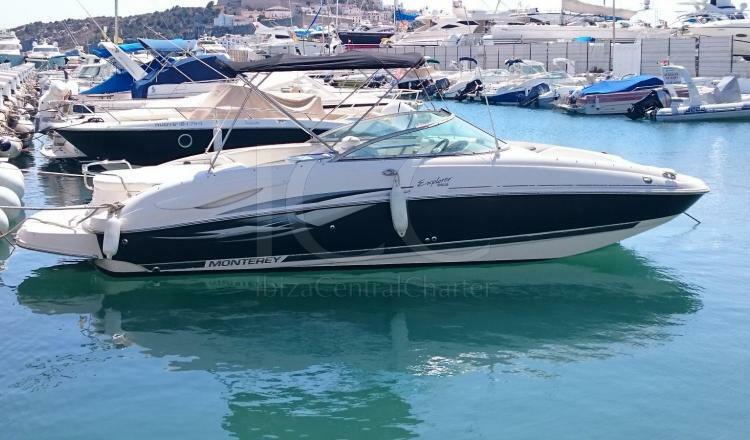 This reality is due to the fact that although it is 7 meters long like many others, the Monterrey 263 Explorer has a distribution that makes it spacious and comfortable while transmitting a sense of spaciousness far superior to its dimensions. 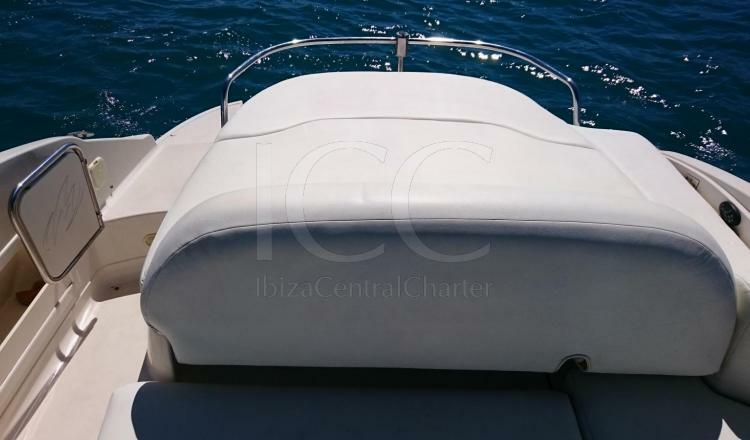 It offers space for up to 8 passengers, who can relax in its large sundeck aft and bow, or rest in its comfortable seats contemplating the wonderful views of the islands of Ibiza and Formentera. The experience can become more unique still setting the moment with the music that you like the most thanks to its sound equipment. The Monterey 263 Explorer is the perfect boat to enjoy a really fun dive thanks to its wide bathing platform, or to practice water sports thanks to its power. - Mooring on base port. 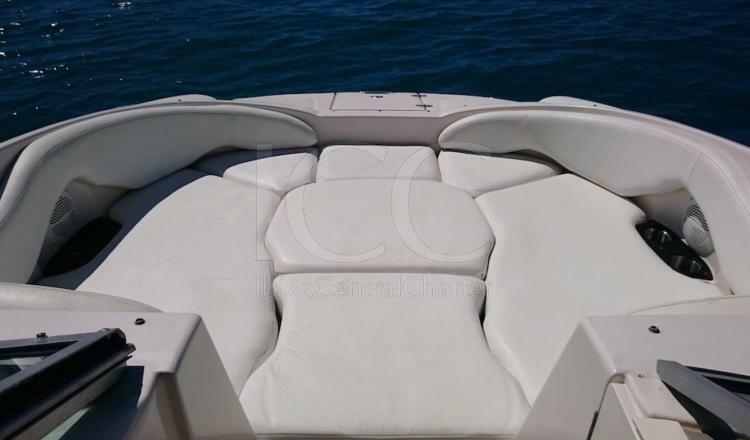 - Comprehensive insurance on the boat. - Skipper: 150€/day + meals.